"Any dating of Hamlet must be tentative", cautions the New Cambridge or, Phillip Edwards. 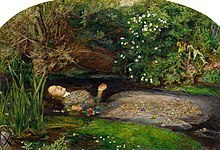 [d] The earliest date estimate relies on Hamlet's frequent allusions to Shakespeare's Julius Caesar, itself dated to mid-1599. The latest date estimate is based on an entry, of 26 July 1602, in the Register of the Stationers' Company, indicating that Hamlet was "latelie Acted by the Lo: Chamberleyne his servantes". In 1598, Francis Meres published his Palladis Tamia, a survey of English literature from Chaucer to its present day, within which twelve of Shakespeare's plays are named. Hamlet is not among them, suggesting that it had not yet been written. As Hamlet was very popular, Bernard Lott, the series or of New Swan, believes it "unlikely that he [Meres] would have overlooked ... so significant a piece". A contemporary of Shakespeare's, Gabriel Harvey, wrote a marginal note in his copy of the 1598 ion of Chaucer's works, which some scholars use as dating evidence. Harvey's note says that "the wiser sort" enjoy Hamlet, and implies that the Earl of Essex—executed in February 1601 for rebellion—was still alive. Other scholars consider this inconclusive. Edwards, for example, concludes that the "sense of time is so confused in Harvey's note that it is really of little use in trying to date Hamlet". This is because the same note also refers to Spenser and Watson as if they were still alive ("our flourishing metricians"), but also mentions "Owen's new epigrams", published in 1607. Second Quarto (Q2): In 1604 Nicholas Ling published, and James Roberts printed, the second quarto. Some copies are dated 1605, which may indicate a second impression; consequently, Q2 is often dated "1604/5". Q2 is the longest early ion, although it omits about 77 lines found in F1 (most likely to avoid offending James I's queen, Anne of Denmark). First Folio (F1): In 1623 Edward Blount and William and Isaac Jaggard published the First Folio, the first ion of Shakespeare's Complete Works. Other folios and quartos were subsequently published—including John Smethwick's Q3, Q4, and Q5 (1611–37)—but these are regarded as derivatives of the first three ions. Early ors of Shakespeare's works, beginning with Nicholas Rowe (1709) and Lewis Theobald (1733), combined material from the two earliest sources of Hamlet available at the time, Q2 and F1. Each text contains material that the other lacks, with many minor differences in wording: scarcely 200 lines are identical in the two. Editors have combined them in an effort to create one "inclusive" text that reflects an imagined "ideal" of Shakespeare's original. Theobald's version became standard for a long time, and his "full text" approach continues to influence orial practice to the present day. Some contemporary scholarship, however, discounts this approach, instead considering "an authentic Hamlet an unrealisable ideal. ... there are texts of this play but no text". The 2006 publication by Arden Shakespeare of different Hamlet texts in different volumes is perhaps evidence of this shifting focus and emphasis. [f] Other ors have continued to argue the need for well-ed ions taking material from all versions of the play. Colin Burrow has argued that "most of us should read a text that is made up by conflating all three versions ... it's about as likely that Shakespeare wrote: "To be or not to be, ay, there's the point" [in Q1], as that he wrote the works of Francis Bacon. I suspect most people just won't want to read a three-text play ... [multi-text ions are] a version of the play that is out of touch with the needs of a wider public." Traditionally, ors of Shakespeare's plays have divided them into five acts. None of the early texts of Hamlet, however, were arranged this way, and the play's division into acts and scenes derives from a 1676 quarto. Modern ors generally follow this traditional division but consider it unsatisfactory; for example, after Hamlet drags Polonius's body out of Gertrude's bedchamber, there is an act-break after which the action appears to continue uninterrupted. The discovery in 1823 of Q1—whose existence had been quite unsuspected—caused considerable interest and excitement, raising many questions of orial practice and interpretation. Scholars immediately identified apparent deficiencies in Q1, which was instrumental in the development of the concept of a Shakespearean "bad quarto". Yet Q1 has value: it contains stage directions (such as Ophelia entering with a lute and her hair down) that reveal actual stage practices in a way that Q2 and F1 do not; it contains an entire scene (usually labelled 4.6) that does not appear in either Q2 or F1; and it is useful for comparison with the later ions. The major deficiency of Q1 is in the language: particularly noticeable in the opening lines of the famous "To be, or not to be" soliloquy: "To be, or not to be, aye there's the point. / To die, to sleep, is that all? Aye all: / No, to sleep, to dream, aye marry there it goes." However, the scene order is more coherent, without the problems of Q2 and F1 of Hamlet seeming to resolve something in one scene and enter the next drowning in indecision. New Cambridge or Kathleen Irace has noted that "Q1's more linear plot design is certainly easier [...] to follow [...] but the simplicity of the Q1 plot arrangement eliminates the alternating plot elements that correspond to Hamlet's shifts in mood." Q1 is considerably shorter than Q2 or F1 and may be a memorial reconstruction of the play as Shakespeare's company performed it, by an actor who played a minor role (most likely Marcellus). Scholars disagree whether the reconstruction was pirated or authorised. It is suggested by Irace that Q1 is an abridged version intended especially for travelling productions, thus the question of length may be considered as separate from issues of poor textual quality. Editing Q1 thus poses problems in whether or not to "correct" differences from Q2 and F. Irace, in her introduction to Q1, wrote that "I have avoided as many other alterations as possible, because the differences...are especially intriguing...I have recorded a selection of Q2/F readings in the collation." The idea that Q1 is not riddled with error but is instead eminently fit for the stage has led to at least 28 different Q1 productions since 1881. Other productions have used the probably superior Q2 and Folio texts, but used Q1's running order, in particular moving the to be or not to be soliloquy earlier. Developing this, some ors such as Jonathan Bate have argued that Q2 may represent "a 'reading' text as opposed to a 'performance' one" of Hamlet, analogous to how modern films released on disc may include deleted scenes: an ion containing all of Shakespeare's material for the play for the pleasure of readers, so not representing the play as it would have been staged. Hamlet is Shakespeare's longest play. The Riverside ion constitutes 4,042 lines totaling 29,551 words, typically requiring over four hours to stage. [h] It is rare that the play is performed without some abridgments, and only one film adaptation has used a full-text conflation: Kenneth Branagh's 1996 version, which runs slightly more than four hours. In the Bloom's Shakespeare Through the Ages volume on Hamlet, ors Bloom and Foster express a conviction that the intentions of Shakespeare in portraying the character of Hamlet in the play exceeded the capacity of the Freudian Oedipus complex to completely encompass the extent of characteristics depicted in Hamlet throughout the tragedy: "For once, Freud regressed in attempting to fasten the Oedipus Complex upon Hamlet: it will not stick, and merely showed that Freud did better than T.S. Eliot, who preferred Coriolanus to Hamlet, or so he said. Who can believe Eliot, when he exposes his own Hamlet Complex by declaring the play to be an aesthetic failure?" The book also notes James Joyce's interpretation, stating that he "did far better in the Library Scene of Ulysses, where Stephen marvelously crs Shakespeare, in this play, with universal fatherhood while accurately implying that Hamlet is fatherless, thus opening a pragmatic gap between Shakespeare and Hamlet." Firm evidence for specific early performances of the play is scant. What is known is that the crew of the ship Red Dragon, anchored off Sierra Leone, performed Hamlet in September 1607; that the play toured in Germany within five years of Shakespeare's death; and that it was performed before James I in 1619 and Charles I in 1637. 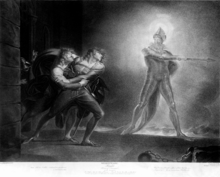 Oxford or George Hibbard argues that, since the contemporary literature contains many allusions and references to Hamlet (only Falstaff is mentioned more, from Shakespeare), the play was surely performed with a frequency that the historical record misses. 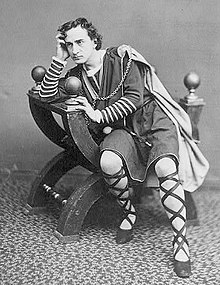 ^ In his 1936 book The Problem of Hamlet: A Solution Andrew Cairncross asserted that the Hamlet referred to in 1589 was written by Shakespeare; Peter Alexander, Eric Sams and, more recently, Harold Bloom have agreed. 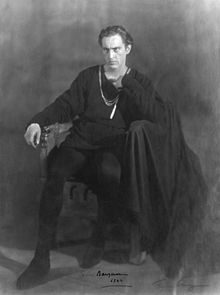 However Harold Jenkins, the or of the second series Arden ion of the play, considers that there are not grounds for thinking that the Ur-Hamlet is an early work by Shakespeare, which he then rewrote. ^ MacCary suggests 1599 or 1600; James Shapiro offers late 1600 or early 1601; Wells and Taylor suggest that the play was written in 1600 and revised later; the New Cambridge or settles on mid-1601; the New Swan Shakespeare Advanced Series or agrees with 1601; Thompson and Taylor, tentatively ("according to whether one is the more persuaded by Jenkins or by Honigmann") suggest a terminus ad quem of either Spring 1601 or sometime in 1600. Cecil, William (2012) [First published in 1916]. "Ten Precepts". In Craik, Henry. English Prose, Selections with Critical Introductions by Various Writers and General Introductions to Each Period; ed by Henry Craik (Online ion by Bartleby.com ed.). New York: The Macmillan Company. Shakespeare Quartos Archive—Transcriptions and facsimiles of thirty-two copies of the five pre-1642 quarto ions.